Does Home Ownership Make You More Dateable? If you’re not expecting a Valentine’s card this year, maybe it’s time to take a hard look at your living situation, says one research group. A recent study conducted by research group Harris Interactive looked at the connections between love and real estate, breaking down what will make you more dateable and what may significantly hinder your dateability. You might be surprised by some of the answers! Let's look at two things that will make your more dateable and three things to avoid. Take note of these, and maybe next year you’ll find hearts and kisses festooning your mailbox! What About Your Real Estate Situation Will Make You More Dateable? Home ownership shows that you’re able to make a commitment. If you’re a male seeking a female partner, one in three women will consider you date-worthy material because you own a home. Women are far more inclined to value home ownership in a man than vice-versa; in fact, over one-third of women believe that a man who is a homeowner is more dateable. For women, this likely shows that he’s able to make a long-term commitment. Men, however, value this far less in women, as only 19 percent of men believe that home ownership affects dateability in any tangible way. Overall, though, 63 percent of American adults do not believe that owning a home makes you any more dateable. So, while home ownership will make you more dateable to a large segment of the population, we don’t encourage you to jump into this large financial investment simply to score a Valentine’s. Not owning a home can help you afford to invest in yourself. Your Crossfit gym, Whole Foods-lifestyle, trendy clothes, pricey car, and personal development through enrichment courses in piano, languages, and dance may make you more attractive to prospective dates. However, it’s tough to transition those costly investments in yourself into your new life as a homeowner. As any new homeowner can attest, once you sign on the dotted line for your new home, you may as well just turn over half of your salary to Lowe’s and Home Depot for at least the first year. You bought a house so that you can truly make it your own—and as a smart military homeowner, you know that you need to do that fast because the clock to PCS starts ticking from day one—and home improvement stores can help you do just that. The only problem is, home improvement is expensive! What About Your Real Estate Situation Will Definitely Hinder Your Dateability? Only about one in ten people will date you if you live with roommates! Only 14 percent of men and women want to date someone who lives with a roommate. Women are the most picky, as only 9 percent are likely to date someone with roomies! Men are twice as likely to live with a roommate post-college as a woman is. While women prefer their privacy, men tend to live with roommates to help with cost sharing, according to both the study and an additional study by the Dallas Morning News. Dr. Gary Brooks, a professor of psychology and neuroscience at Baylor University, however, explained that men likely prefer to live with roommates not only for financial reasons, but also for camaraderie. He explained that while women are more comfortable calling up female friends to spend time together, men are not; men still crave companionship, and he believes that they find that in a group living situation. Prospective dates don’t like it when mom still does your laundry. One important thing to note about living with roommates, Harris Interactive reports, you most definitely do not want to call mom and dad your roomies if you’re seeking a partner. Only 5 percent of men and women would consider dating another adult who still lived with their parents. 36 percent of millennials, however, still live at Casa de Mom and Dad, which likely explains why only 26 percent of this generation is married, representing a vastly lower number than previous generations. Your location matters to your prospective date. If you’re seeking a female partner, then you need to high-tail it to the ‘burbs, my friend. Far more women prefer a prospective partner who lives in a home in the suburbs than a condo or apartment in the city—that is, provided that you can afford to do so without the help of a roommate. This lady has a dog, kids, and good schools on the brain, so make sure you’re ready for a long-term commitment before venturing into this relationship! If you want to date a man, however, you must live in the big, bustling city! One in three men prefer to date a women who lives alone in an apartment in the city than anywhere else. One reason for this may be that it makes it easier for a man to spend time with a girlfriend who isn’t encumbered by friends and family. Looking to improve your real estate situation? 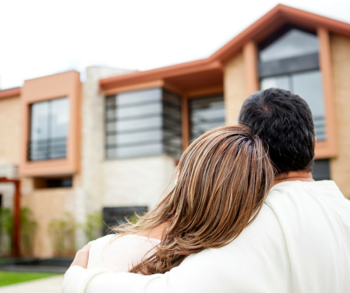 Check out these tips for first time homebuyers!